Actually, the name of this block is Whirlwind. I made it for the new daughter of a friend. At first it looked like this, with plain 9″ blocks of the print. Blech. I put it up on Twitter, and the Twilters agreed it needed something. 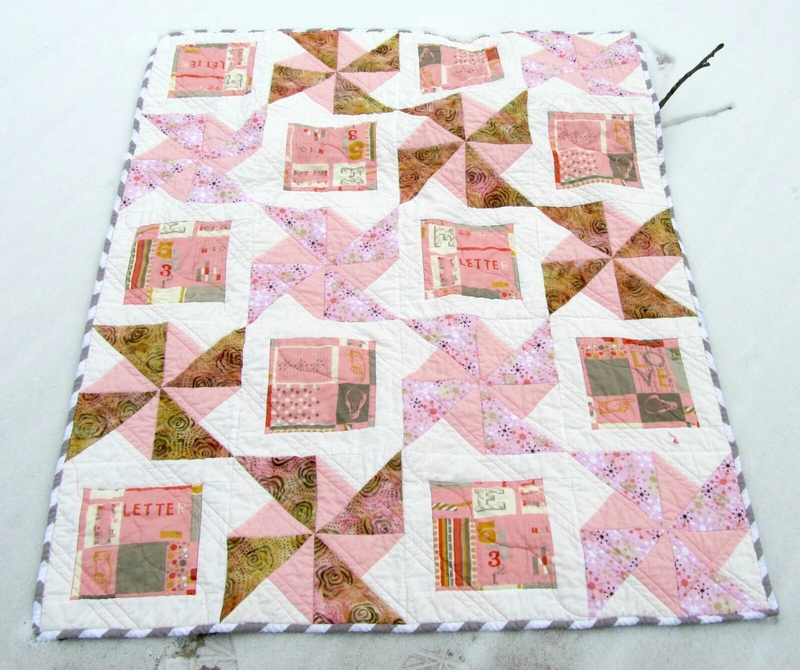 That’s when I cut the blocks down to 6″ and added borders (Snow). That gave me an opportunity to fussy-cut the fabric a little. I like the result. 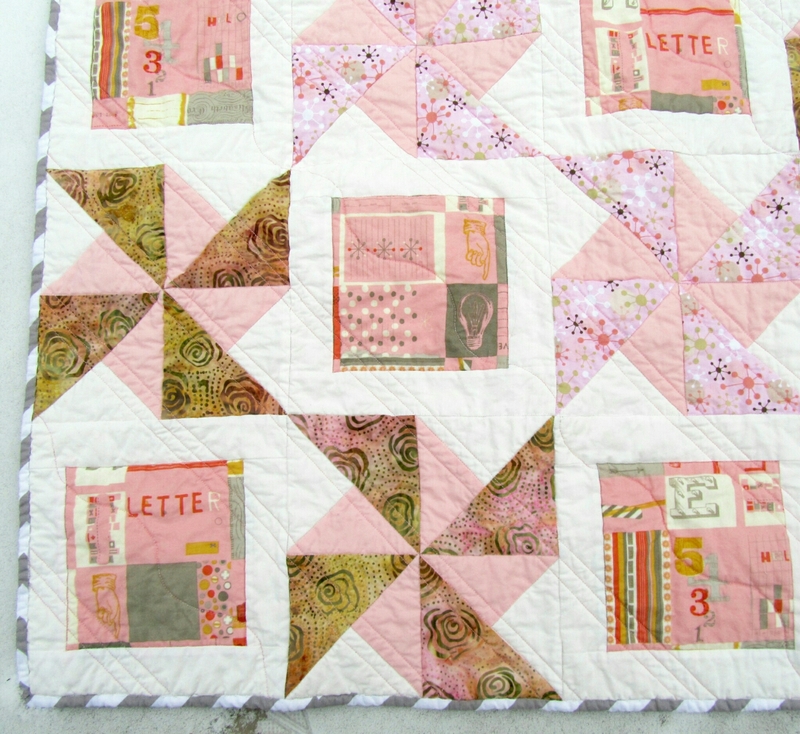 If you think this only has a little diagonal quilting, good, that’s the effect I wanted. But, really, It has a lot of quilting. 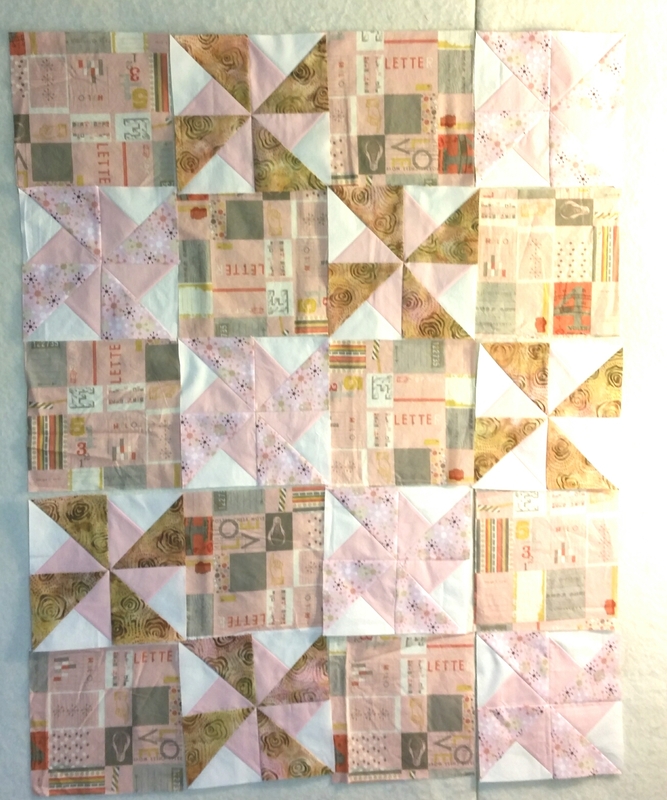 I first stitched in every ditch with fine thread (Bottom Line), and then did the diagonal stitching with Fantastico. 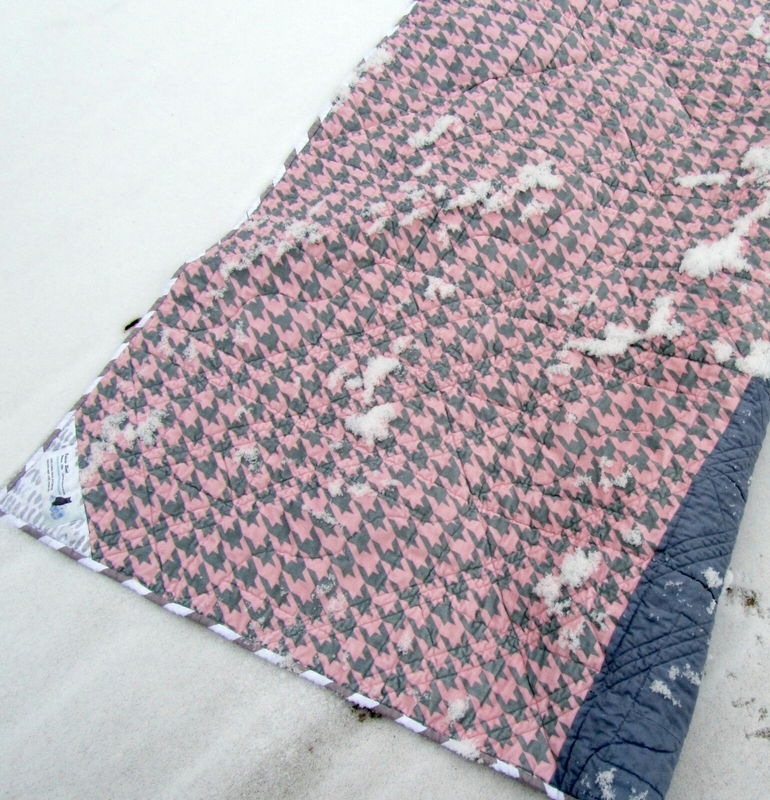 The back is a great pink and gray hounds tooth corduroy and a strip of gray Kona. I bound it with strips of gray and white chevron fabric, which makes nice diagonal stripes. 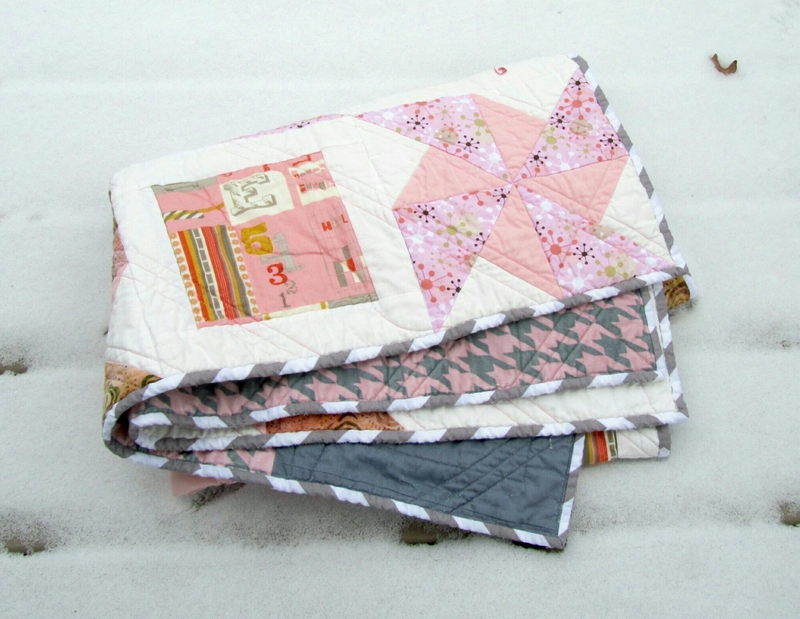 Categories: Finishes | Tags: baby quilt, Evening in the Garden, Pink quilt, pinwheel, Valerie Root | Permalink. What a great baby quilt! I posting this on my Facebook page, it’s scheduled for the afternoon of January 19th. Well done! The way you made the alternate blocks is genius. It added that great fabric, but also gave the pinwheels space to breathe. Good work! Love it! That white made it pop. I’m going to remember this design for a future baby quilt. Thanks for sharing.